The presence of mold inside your home or office could lead to a variety of adverse health effects. We'll test to determine what type of paint was used on your walls, ceilings and window frames. Find out what types of materials were used in your construction before any demolition takes place. Check to make sure the air you're breathing won't cause any health problems. Sometimes, it's what you don't see that can hurt you. If you live in an older structure, contact Environmental Compliance Associates, LLC. We offer home inspection and commercial building inspection services in the Morrisville and the state of Vermont area so you know exactly what's happening within your walls. Home Inspection, Commercial Building Inspections & More! We inspect homes, commercial buildings, schools, daycares and apartment buildings to give you the peace of mind you're searching for beyond the level of a typical certified home inspector. In many cases, there aren't any health risks until the materials are disturbed during any kind of demolition or renovations. If we find dangerous substances, we'll recommend proper mitigation services to eliminate the problem. Looking for a Certified Home Inspector in Morrisville & Burlington, VT ? 1. Reputation: Our family-owned and operated business has built a fine reputation. When it comes to franchise operations, anyone can buy a name, we've built one. 2. Experience: We've been in the business for over 5 years. We've come to appreciate the importance of satisfying our clients and how to meet their needs and priorities. 3 Education: Environmental Compliance Associates, LLC maintains licenses and certifications with the leading authoritative organizations for certification mold testing, asbestos testing and lead inspection. 4. Systems: Our testing systems are the most advanced on the market today. We utilize leading industry software to estimate the time and effort required to meet our project estimates. 5. Guarantee: We are committed to meeting and exceeding your expectations. If you're not completely satisfied, we will return at no charge to make it right. Environmental Compliance Associates, LLC (ECA) is a family business, owned and operated by Christopher Clement. Christopher has a degree in Biology and has a medical background as a Nationally Registered Emergency Medical Technician. Christopher brings a wealth of knowledge and experience from his Biology medical, laboratory and Environmental Consulting experience. 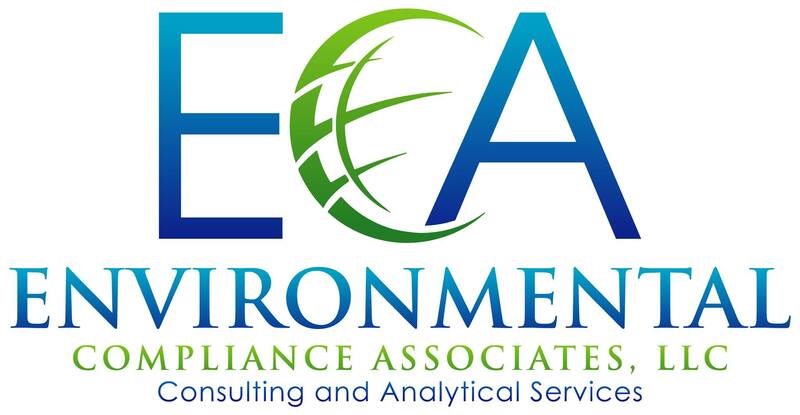 It is the goal of ECA to provide our clients with professional environmental consulting and analytical services at a fair and reasonable cost that meets, or exceeds industry standards. ECA is a single-member LLC and is a member of the American Industrial Hygiene Association, an internationally recognized organization dedicated to promoting environmental and occupational Health and Safety (EOHS). ECA shares this mission. Copyright © 2019 Environmental Compliance Associates, LLC, all rights reserved.